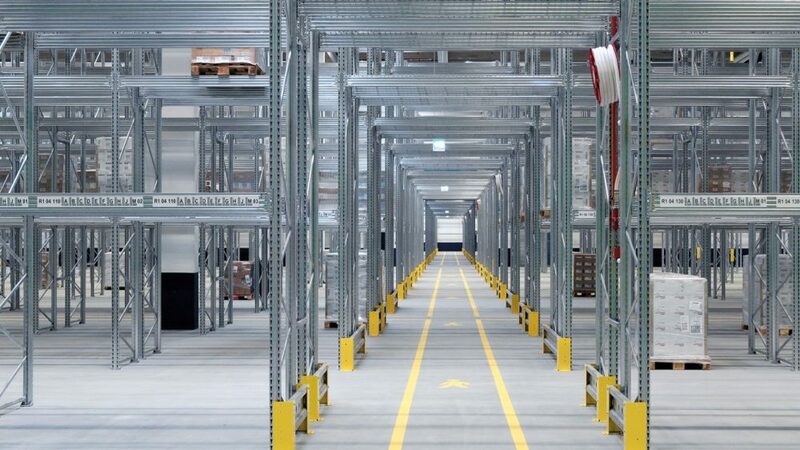 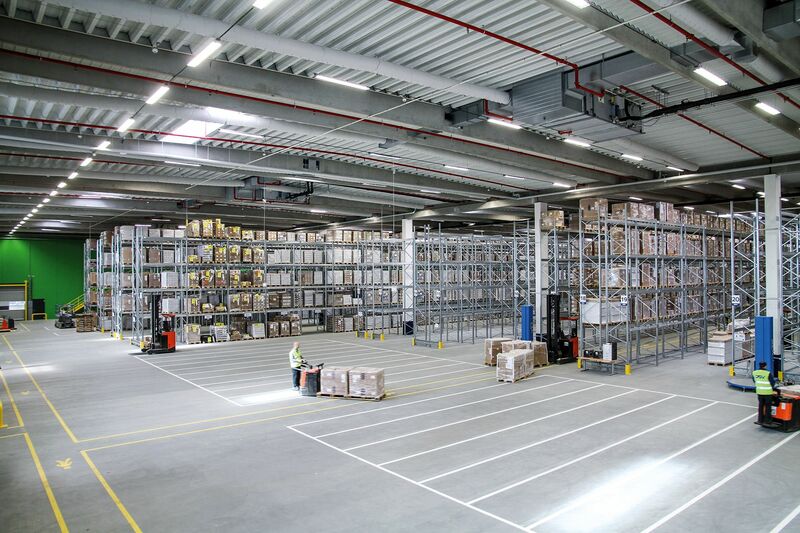 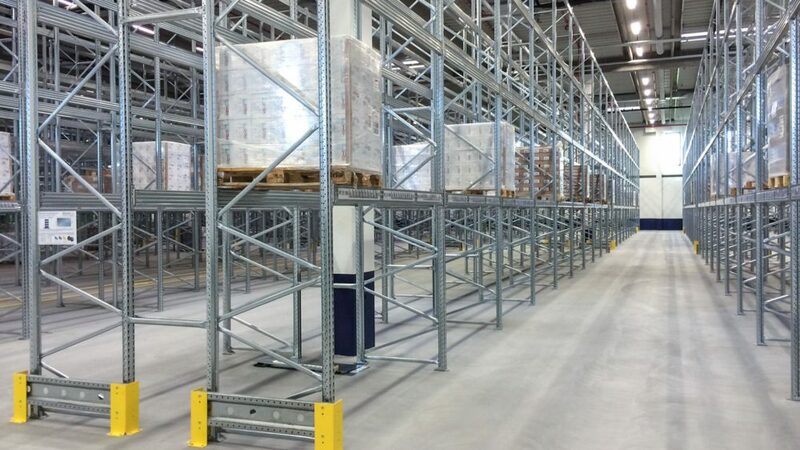 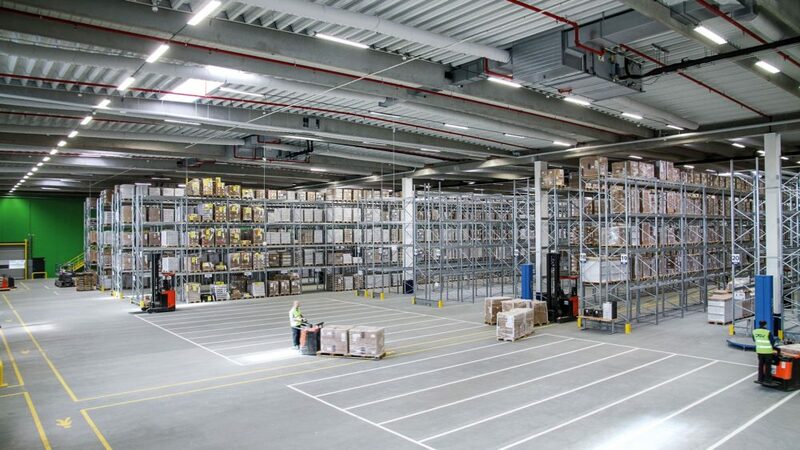 Conceived and designed to satisfy the requirements of medium to heavy duty storage, the SUPERBUILD pallet racking system is the answer to modern pallet racking requirements of rapid assembly coupled with high strength and stability at a very competitive price. 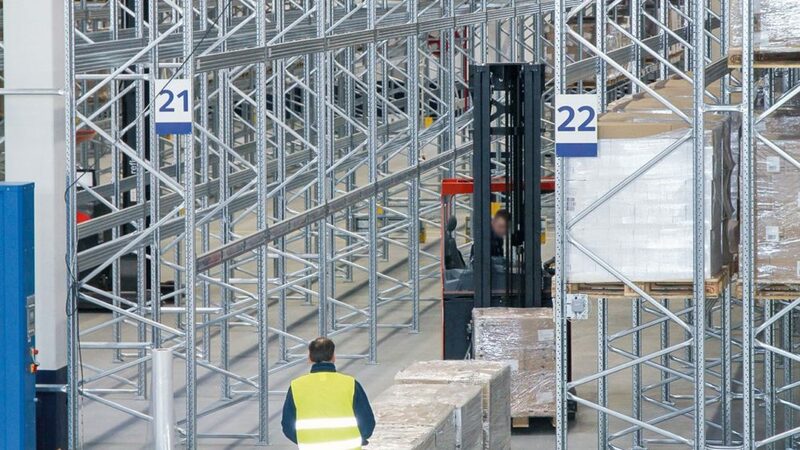 SUPERBUILD is available in three different frame load options, varying from 7.5 tons to 15 tons. 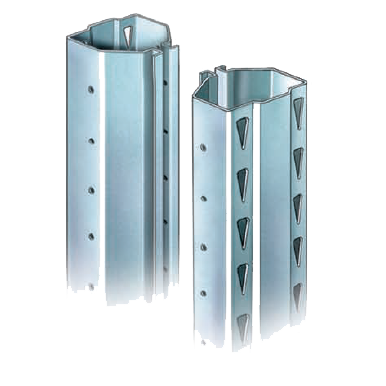 The closed design of the frame upright provides a stronger section than that of the standard open C-profiles used by other manufacturers. 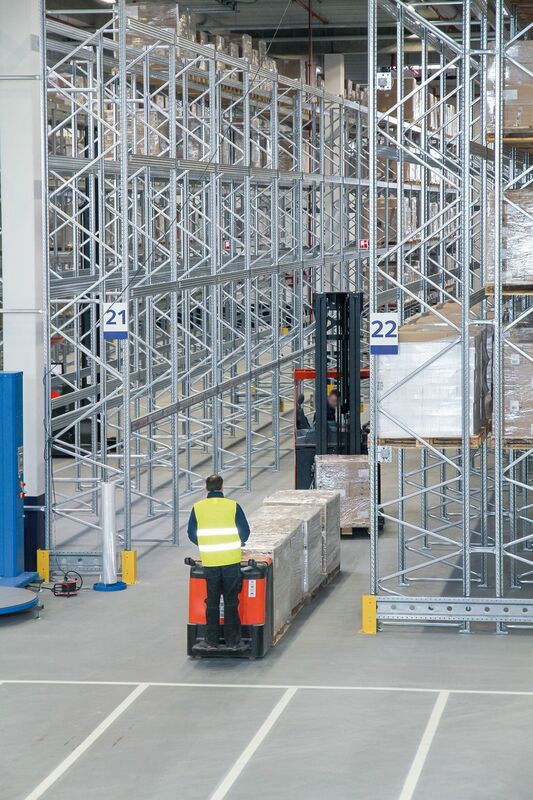 Beams are made of composite sections, up to four times their material thickness at points of maximum stress. 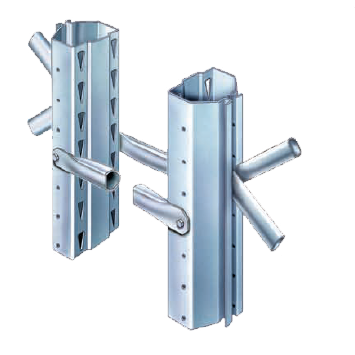 They have connectors with 5 anchor points at either side, 3 of them operating in tension and 2 in compression, providing improved connection to the upright, with increased load. 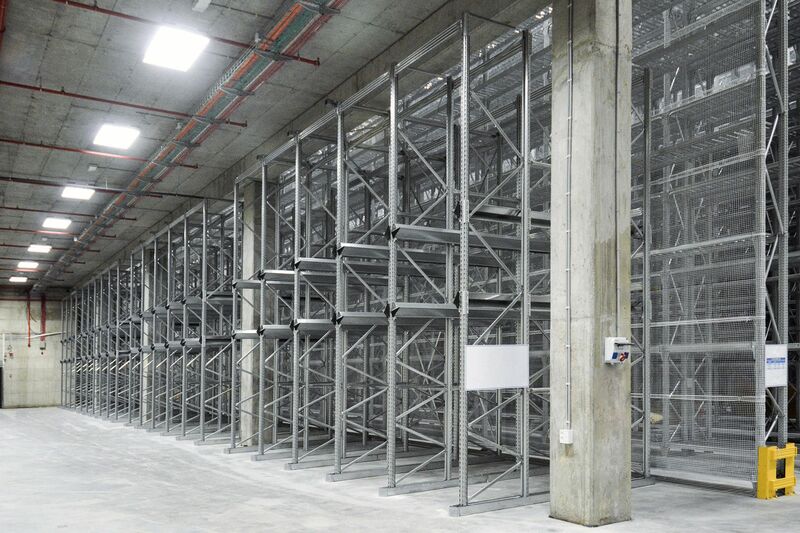 Produced from EN10204 certified high tensile structural steel accompanied by a 3.1 certificate. 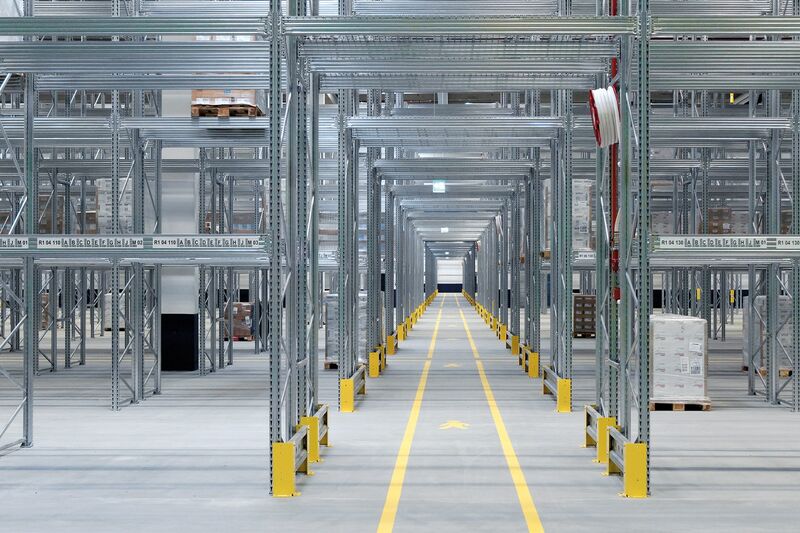 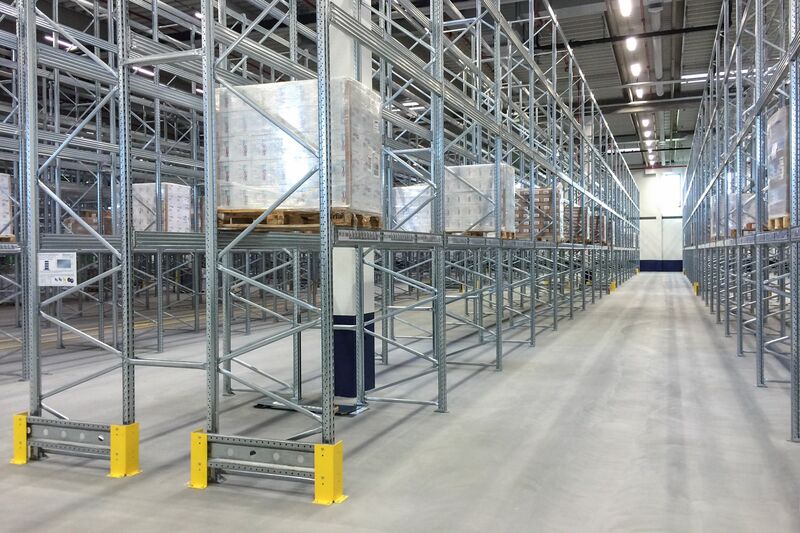 All Superbuild pallet racking components are produced using Sendzimir galvanized steel. 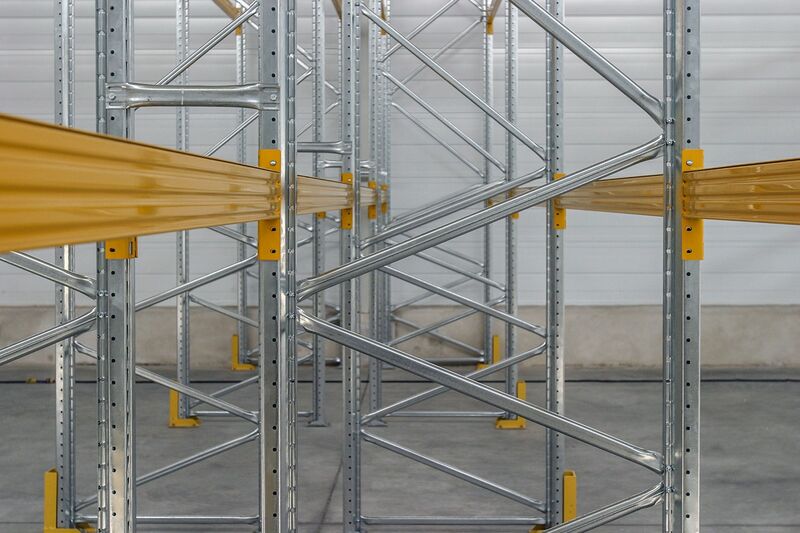 Beams may also be provided with an additional powder coated layer which both provides additional protection and exceptional visibility. 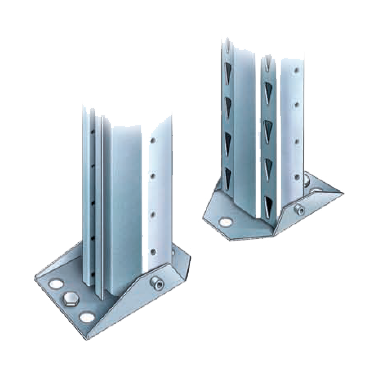 The closed design of the frame upright provides a stronger section than that of the standard open “C” profiles used by other manufacturers. 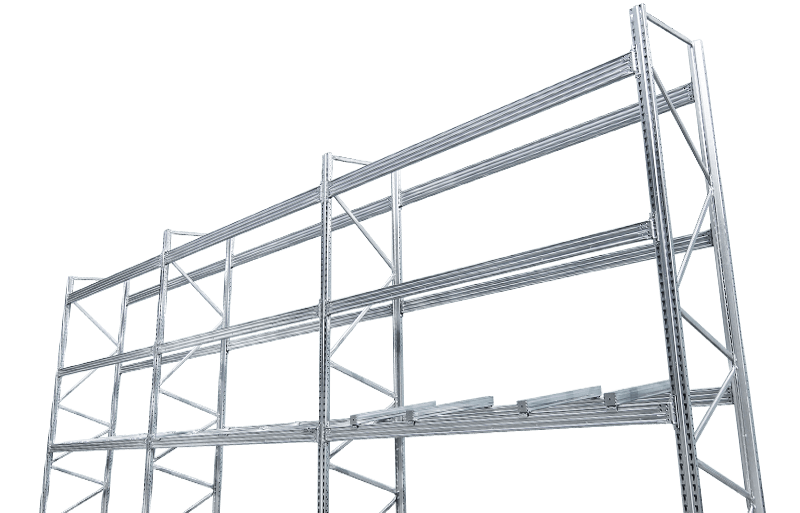 The bolted frame design provides superior quality and strength, and allows for easy and cost-effective replacement of damaged parts. 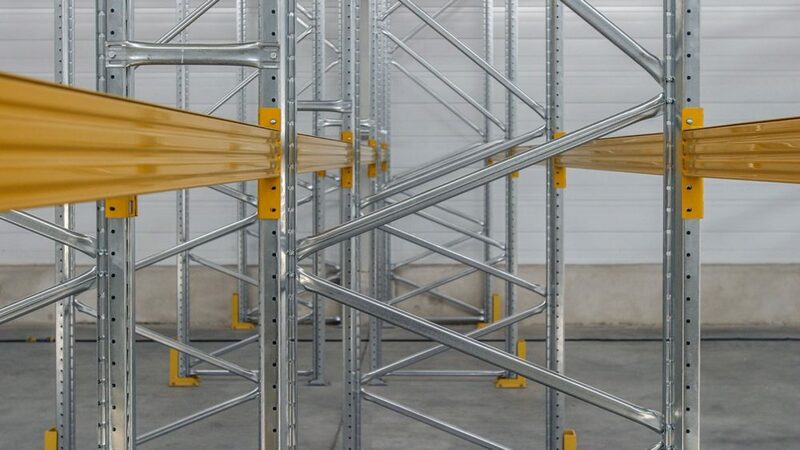 Reinforced baseplate design significantly reduces frame base and floor fixing damage from ground level pallet movements. 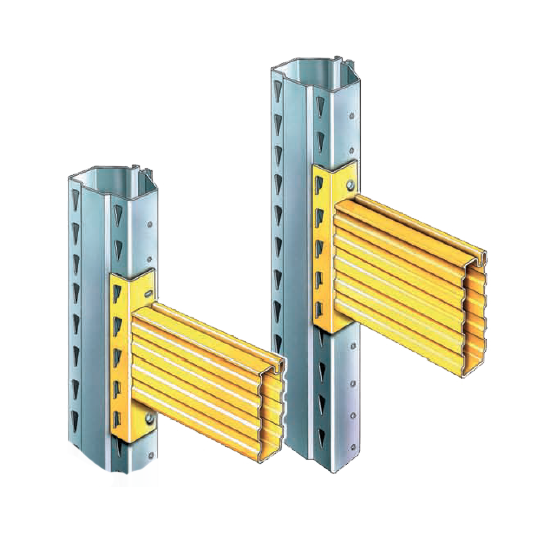 The welded beam end connector has five anchor points, three of them operating in tension and two in compression, providing a better connection to the upright with increased load capacity. 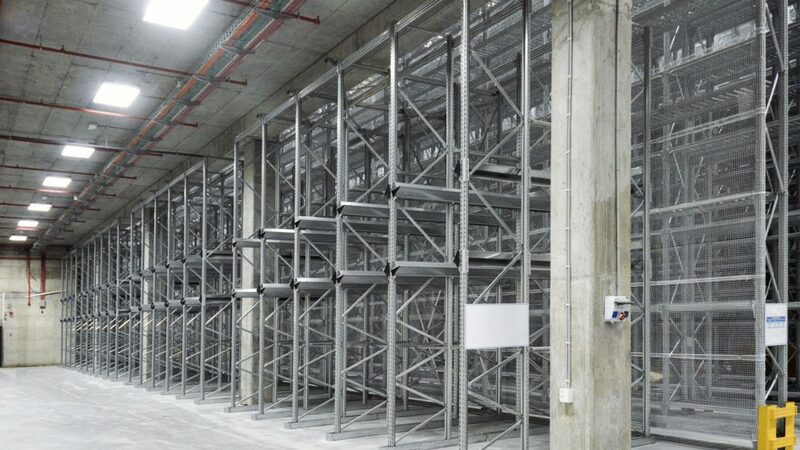 The adjustment of beams at intervals of 50mm facilitates optimum use of space available. 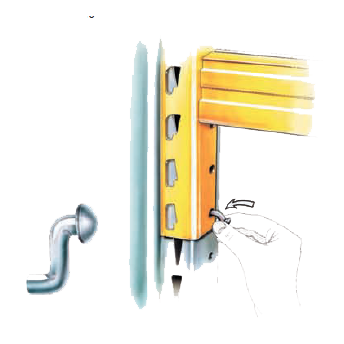 The beam locking pin prevents an accidental lifting of the beams off the upright.